Because every champion wants a celebratory kiss from Baby Shark, doo, doo, doo, doo, doo, doo.. 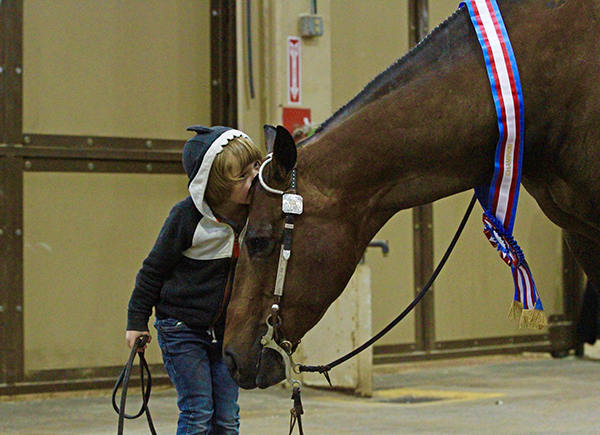 Thanks to Abby Bruno for this adorable shot from the recent AQHA L1 Championship Central that took place in Oklahoma City. If you’re the only person in the country who doesn’t know about Baby Shark, click here to read CNN’s account of why the song is so insanely popular. If you have a great EC Photo of the Day, email B.Bevis@EquineChronicle.com and you might see it featured right here or on our Instagram or Facebook accounts.